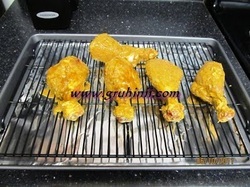 Make cuts to the chicken with a knife and prick it all over with a fork so that the marination penetrates into it. 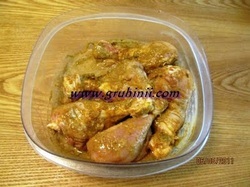 In a bowl, add the yogurt, lemon juice, ginger garlic paste, coriander powder, red chilly powder, tandoori masaala powder and salt. 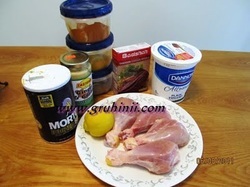 Mix it and add the chicken pieces and spread all over the chicken. Refrigerate for overnight.